Highest quality, long strand hay compressed in to easy to feed portions for rabbits, guinea pigs, chinchillas and degus. Less mess, less space and less waste than loose hay contains over 20 different nutritious grasses and meadow plants. Essential for your pet's digestive, dental and overall health and wellbeing. Reduced dust and allergens. 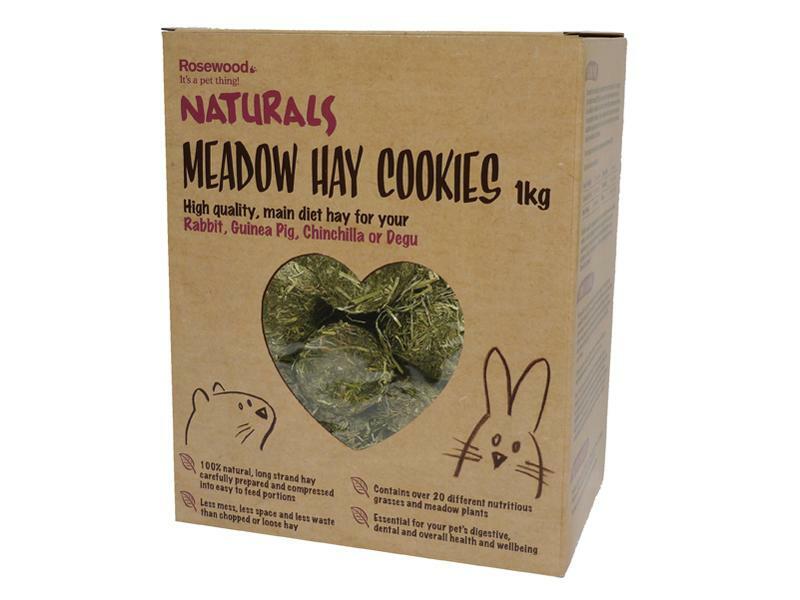 There are currently no questions for Naturals Meadow Hay Cookies - be the first to ask one!